Three cheers for Canongate, which had the courage and vision to buy My Song: A Memoir by the great Harry Belafonte, now 85 and still a head-turner. 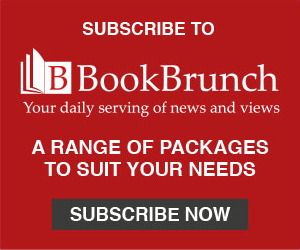 The book, currently a bestsller in Germany and on which Belafonte worked with the distinguished Michael Shnayerson, was published in the US by Knopf, but it wasn't an easy sell here, agent Sheila Crowley of Curtis Brown reported. Publishers in the UK remain in thrall to manufactured so-called stars, obsessed with figures they fondly imagine are "timely", having no appreciation (or understanding) of the timeless. Jamie Byng "got it", saw the importance of Belafonte not merely as a singer but as a man who played a key role in 1960s American history. The singer and activist has been in Britain for a week, a star turn at Hay, at arts centres in Brixton and Tottenham, and on Radio 4, and he stepped on stage at London's Royal Festival Hall on Wednesday evening for the concluding event of his book tour. Surprisingly, it was a venue he'd never played in his singing days - rapacious managers and promoters could never agree, he said - and he was cheered to the echo on this, his Southbank debut. More than cheered: there were standing ovations at the beginning and end of his impassioned performance. To a generation raised on TV talent shows, the name Harry Belafonte may mean little these days. But for anyone who grew up in the 1950s and ‘60s, the honey-toned voice - on songs such as "Island in the Sun", "Day-O (The Banana Boat Song)", "Scarlet Ribbons" and the light-hearted "There’s a Hole in My Bucket", a children's favourite sung with Odetta, another true legend who sadly died a couple of years back - is familiar indeed. Who among us could not sing a verse or two? A Jamaican of mixed race, born into poverty in Harlem in 1927, Belafonte served in the US Navy and then blew his GI dough on an acting course at the New School in Greenwich Village. His fellow students included Elaine Stritch, Walter Matthau and Marlon Brando, a life-long friend, and his great mentor was singer-actor Paul Robeson, who came backstage to congratulate the would-be star on his stagecraft. He later made his name in Hollywood, playing the lead in Carmen Jones, Otto Preminger's screen reworking of Bizet’s opera, but it was as a singer, not as an actor, that he found real success, and he became the first artist to have a million-selling LP (as they were in those days). By the mid-1950s, Harry Belafonte had it all - fame, fortune, good looks. He could simply have basked in that success. Instead, he chose to fight for a cause - his belief that "all men are created equal", whatever their colour or creed. A young Dr Martin Luther King, who'd only recently made headlines with the Montgomery bus boycott, called Belafonte to ask if they might meet. The singer was willing but sceptical: he had little time for organised religion and other preachers had said the right words but failed to deliver. King, whom he first met at Harlem's Abyssinian Baptist Church in 1956, was the real deal. Belafonte turned into an organiser, delivering high-profile friends to the March on Washington, to Selma and Montgomery, flashpoints on the civil rights campaign; he bankrolled many campaigns and paid for the King family to have a housekeeper; and he was a go-between for King and President Kennedy and his Attorney General brother. When he was asked to raise $50,000, literally overnight, to support young students who’d gone to Mississipi on voter registration drives, he didn’t hesitate. Flying in to that state in 1963, the summer of Mississippi Burning, of the Freedom Rides, of Bull Connor and Birmingham Sunday, to a Klan "welcome committee", with $70,000 stashed in a briefcase was brave indeed. This, then, was the man we'd all come to hear on Wednesday - not surprisingly, many in the audience were black, of all ages, among them Margaret Busby and Elise Dillsworth - and he didn't disappoint. To hear him speak, you’d never guess he was 85, so good was his recall, so eloquent his phraseology, so powerful his delivery. Interviewed by the BBC's Kirsty Lang (check out her chat with him on Front Row), he recalled the indignity of segregation and offered an eloquent précis of slavery and the hypocrisy of slave owners, who often dallied with black women. How could it be that so many blacks had fought the good fight against Hitler yet returned home to find that they were still not equal - that the ringing cadences of the Declaration of Independence simply rang hollow? In response to a question, Belafonte spoke of the value of culture, more important even than maths and science, he said. If we understand our neighbour's culture, then we better understand the neighbour. The world should "know itself". Governments were always afraid of hearing the truth from writers and artists, which is why totalitarian regimes try hard to silence them, remind everyone of the price Robeson paid for his beliefs. "Art is the grand vision." Without it, the world is "a very sorry place". As to Obama, his skin tone does not excuse his misdeeds. Belafonte quoted Eisenhower, who, in his last speech as President, had cautioned that "we must guard against the acquisition of unwarranted influence, whether sought or unsought, by the military-industrial complex". Obama was not doing so, had violated campaign promises, sought ways to justify actions that we condemned from Bush, was guilty of "patriotic treason". Belafonte concluded: "He needs to tell us, 'Yes we can - what?'" Today's celebs think it's a big deal to lend their voice to a charity recording, their presence to a fundraising event - all of it great publicity for themselves. 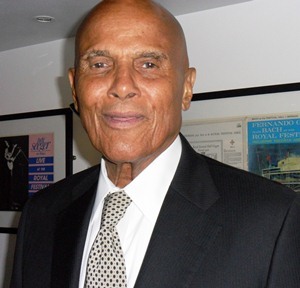 Belafonte has showed real moral and physical courage, and great personal generosity. He fought the good fight. Along the way, he made some beautiful records and used his power to bring Nana Mouskouri and Miriam Makeba to American TV audiences, as well as giving Bob Dylan his first recording break. It's time to salute a real hero. And - a record even the young editors will surely remember - it was Belafonte who had the idea for what became "We Are the World" and who made it happen. A great man indeed. Long may he speak out. Hearing, meeting him, was a rare privilege.